Two-roomed apartment on the first floor. 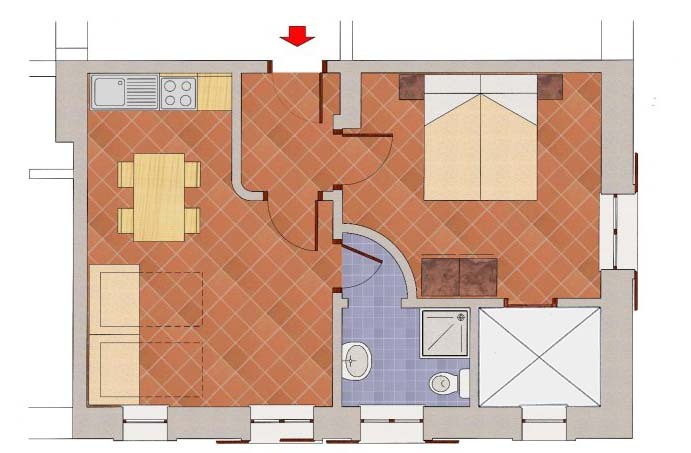 Double bedroom, living room with 2 single sofà bed, kitchen area, 1 bathroom. Open gallery with tables. 46 square metres.